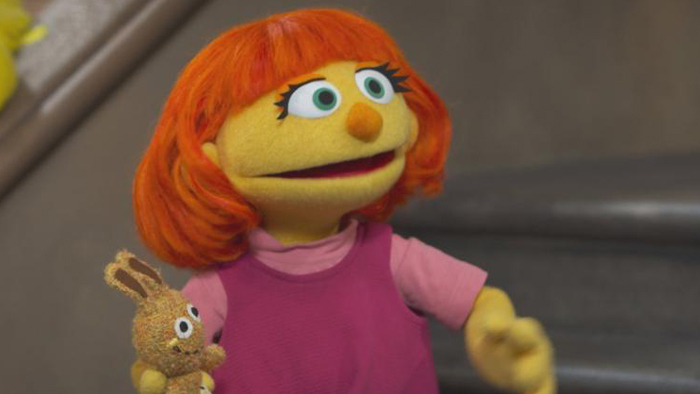 Long-running children’s television show Sesame Street is welcoming a new kid to the block – a Muppet with autism called Julia. One in 68 American children is currently diagnosed with autism, according to the Centers for Disease Control and Prevention, an increase of some 119 per cent since 2000. Autism is a developmental disorder present from early childhood, characterized by difficulty in communicating and forming relationships with other people and in using language and abstract concepts Stacey Gordon, the puppeteer who will perform the role of Julia, and Christine Ferraro who wrote her part, both have family members who are on the autism spectrum. “It’s important for kids without autism to see what autism can look like,” Gordon told the CBS show 60 Minutes in a preview on Sunday. Since its launch in 1969, Sesame Street has tackled issues such as divorce, disability, race and death alongside its role in teaching very young children to read, count and learn colors. Sesame Street is seen in either the United States on PBS and HBO, or local TV versions in more than 150 nations and has won multiple awards for its educational content and its message of inclusion.